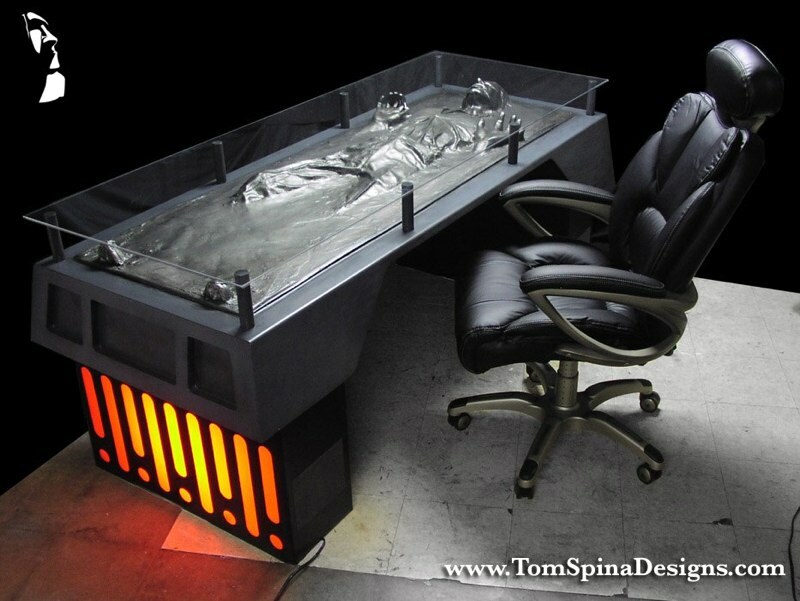 A true viral sensation, the Han Solo Carbonite desk is movie prop inspired furniture which we custom created for Grammy winning recording artist, Mark Hall. 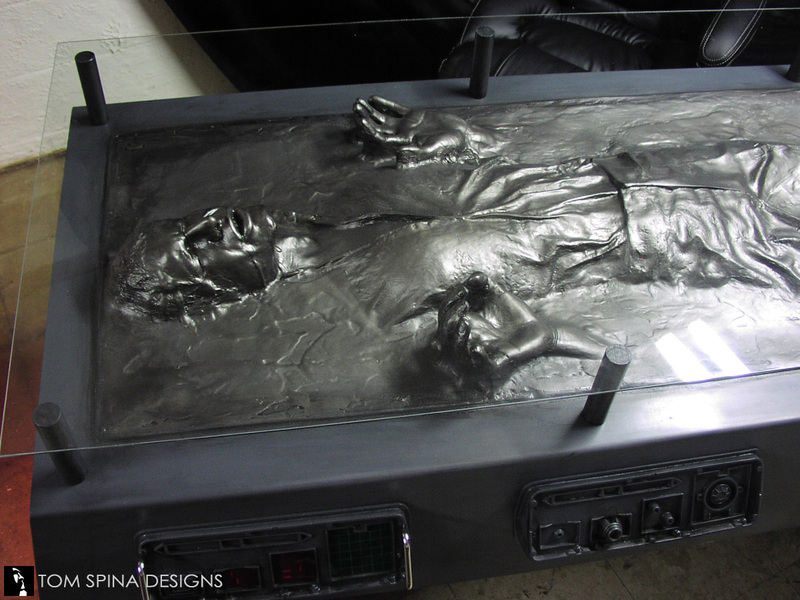 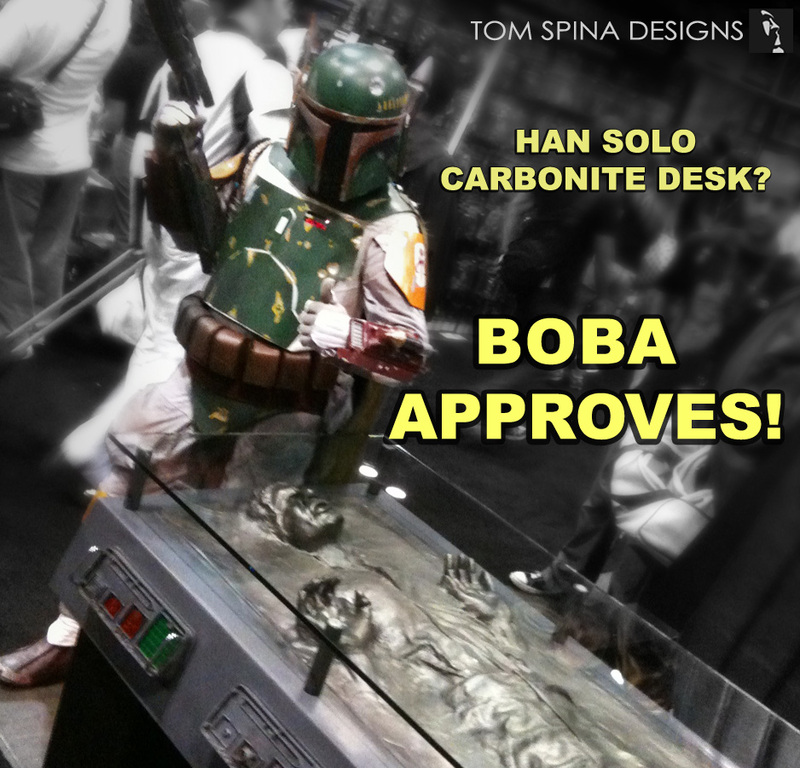 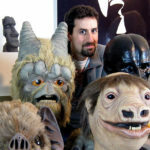 When Mark came to us for Star Wars furniture, we ran through a number of themed desk and coffee table concepts for him, eventually finding our way to the viral sensation of the Han Solo Carbonite Desk. 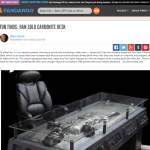 Within a few days of posting the piece on our site, we received millions of image views, and hundreds of requests to see if the prop was for sale! 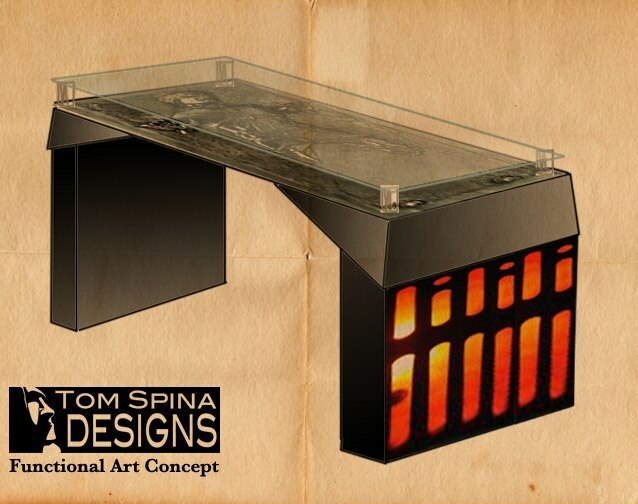 We had a lot of fun creating this one-off piece of furniture art. 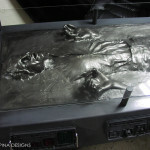 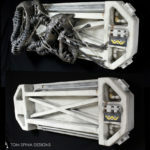 The Han Solo section traces back to a casting from the original prop from the Empire Strikes Back, which we encased in a custom metal frame for the desk, which is supported on custom, lighted “carbonite chamber” panels in the classic Star Wars, the Empire Strikes Back style dot-dash pattern. 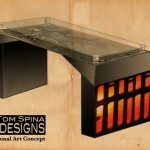 We’ve become known for our unique, themed and geeky take on everyday furniture like desks and coffee tables. 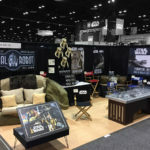 Mark eventually put the piece up for sale, and auctioned the one-of-a-kind Han Solo desk raising over $10,000 for charity! 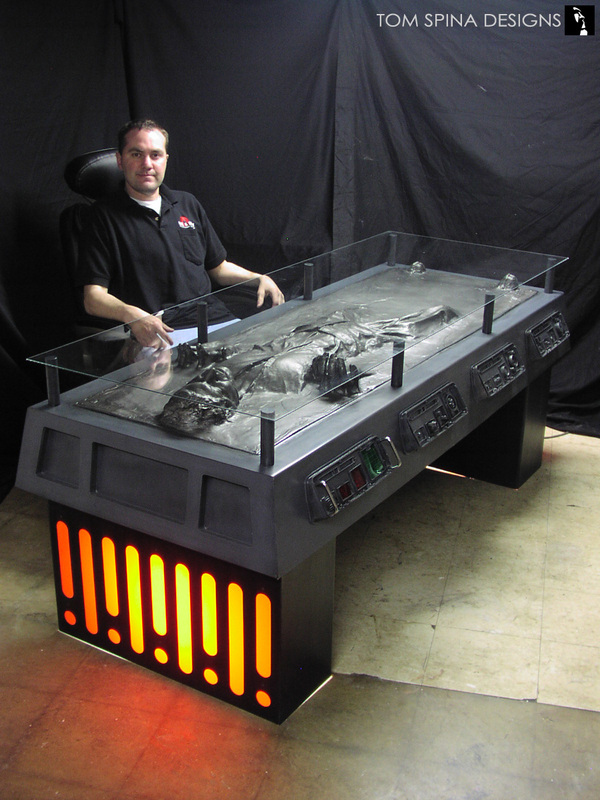 If you’d like a custom themed piece of furniture or sculpture, please contact us! 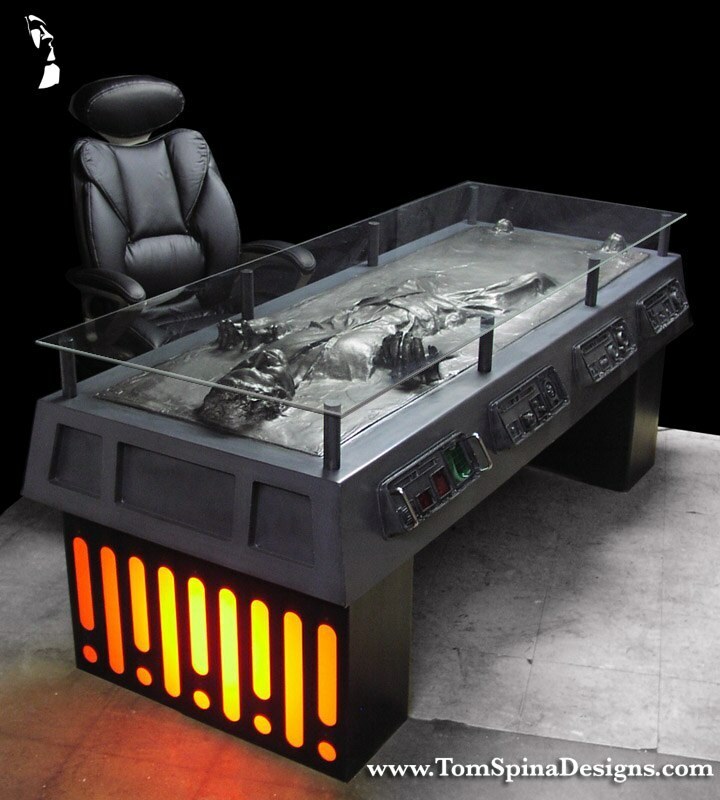 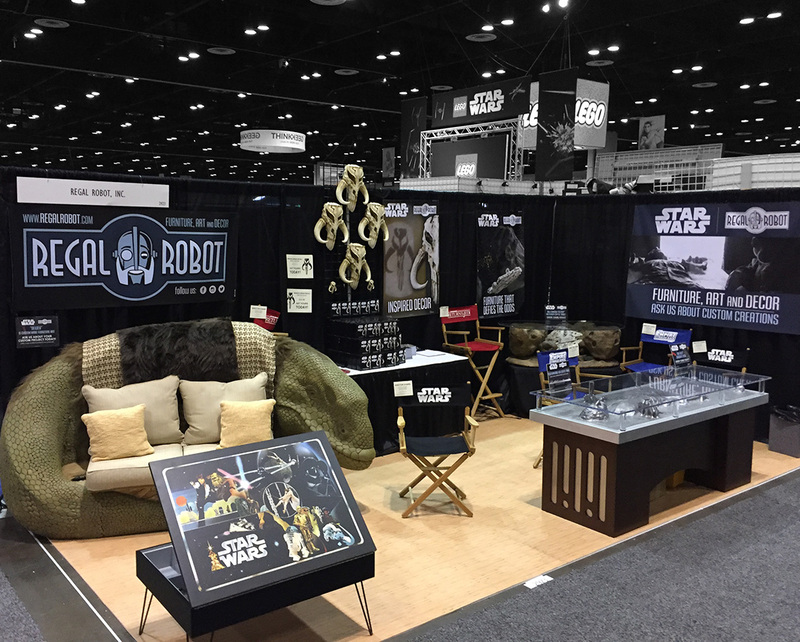 Or, to order your own official Star Wars themed furniture and decor, including an all new version of our Han Solo in Carbonite desk, be sure to visit our sister site, Regal Robot! 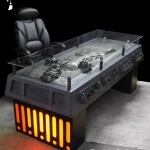 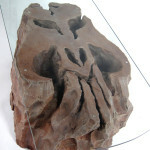 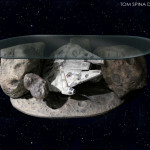 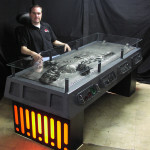 For official themed and even one of a kind Star Wars inspired desks, coffee tables, seating, art and more!